Notes: An attractive and curious piece. On first sight it has all the hallmarks of a Baluch Afghan tribal, but the weave and heavy stucture are all wrong for such an attributation. 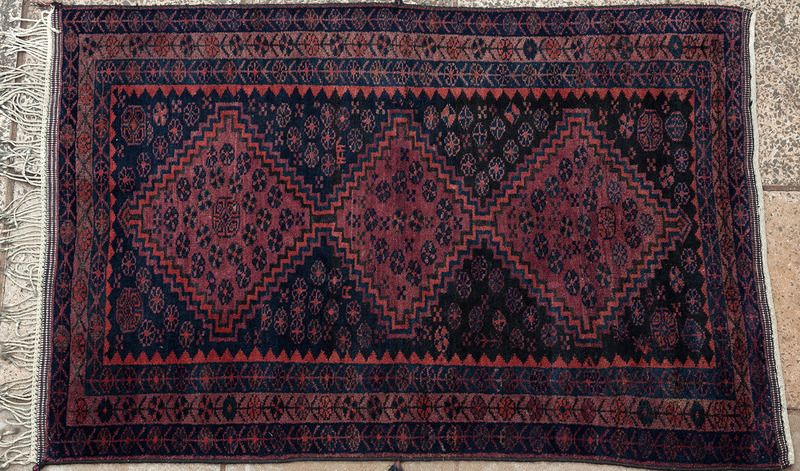 It was most probably woven by Kurdish minorities from the Northeast of Iran, in Khorasan. Solid and rugged, its dark, earthy tones suggest an environment where sombre colours lent relief from the sun's glare outside.